Being a chap of fairly basic tastes, a box of Newbury Fruits, or possibly a tin of Quality Street, often represents the summit of my seasonal dining – which is in somewhat marked contrast to le Réveillon de Noël. On the 24th December, it is a tradition for a family to commence a celebratory meal with caviar or smoked salmon, oysters and scallops followed by a guinea fowl, pheasant, quail turkey or goose with prune or chestnut stuffing, plus various cheeses, nuts and fruits. In the Burgundy region, escargots may be found on the menu and in Provence, the feast may include 13 desserts, but across France, the standard conclusion is la Bûche de Noël, one of the most elaborate Christmas logs you are ever likely to encounter. In some communities, the meal begins shortly after Midnight Mass (hence the name, which means “awakening”) and in other homes, it is a common practice for the feast to start late in the evening. 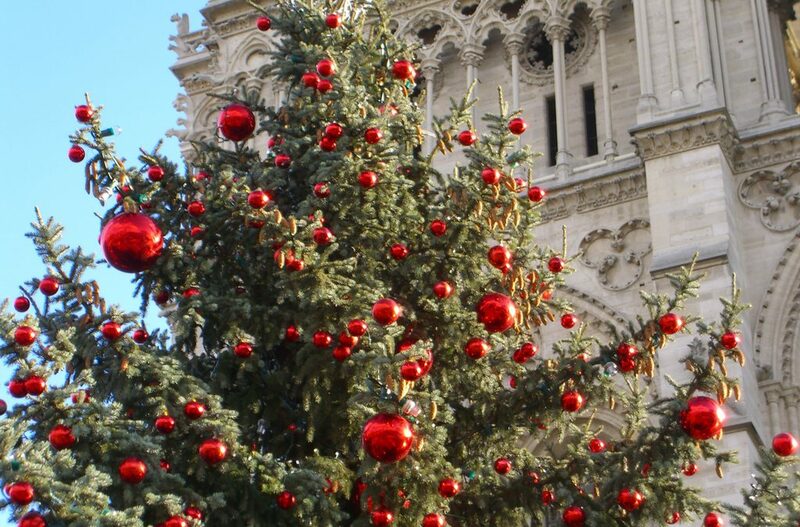 As with many traditions, le Réveillon de Noël can trace its roots over centuries and millennia. In the days of the Winter Solstice, the goose would symbolise the sun just as la Bûche de Noël is a reminder of the days when a log would burn for several days in the hearth in order to ward off evil. The people of the village would also build a bonfire to ensure the return of warm weather, and if you placed the ashes under your bed, the belief was that your home would be protected from lightning. Try not to replicate this practice at Chateau de Bois Giraud; it may or may not work but what is guaranteed is extra vacuuming. And, what is most important is not what these foods are, exquisite though the taste may be, but what they represent. A Joyeux Noël to everyone.